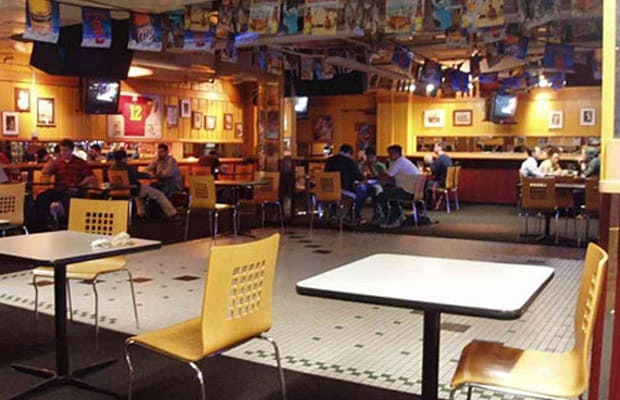 A once famed drinking institution, Traddies has been relegated to the lonely corner of a campus food court while it waits for the completion of its new Student Center digs (allegedly in fall 2010). But it's cool, the whole "shriveled shadow of its former self" vibe reminds us of the USC football program... boosh! See you in 2012, suckers.